Siena and Montalcino Private Tours Include: Our Montalcino and Siena private tours include private transportation, services of English-speaking tour guide, parking, taxes and tolls. 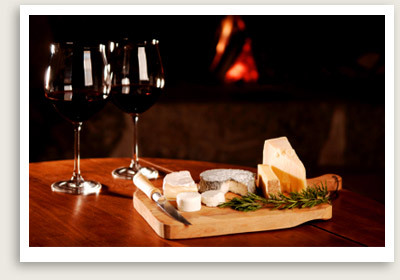 Not included: Small fee for wine tasting and entrance fees for sites you choose to see. This private day trip in Tuscany combines two of Tuscany’s most charming places with a tasting of some of the fine wines of the region: Chianti, Brunello and Nobile di Montepulciano to name but a few you may sample on this day trip. 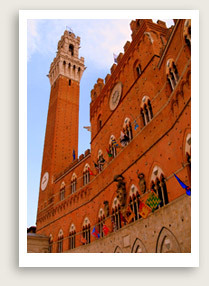 Your private tour of Siena and Montalcino begins with a lovely drive to Siena. Built on three hills in the middle of the Via Francigena (pilgrimage road), Siena is one of Tuscany’s crown jewels. It has an outstanding Gothic Duomo and another important church, San Domenico, which claims the skull of St. Caterine. It also has one of the most beautiful squares in Italy, il Campo, where the famous Palio horse race is held twice a year. Your Siena guided tour will give you an overview of Siena’s most important neighborhoods, squares and churches, before giving you some time to explore them on your own. You may want to skip the sightseeing and head straight for the shops — Siena has many acclaimed specialty stores around the main square its main street, Via Banchi di Sopra. Local delicacies include Panforte, a cake with dried fruits and sugar; Sapori, marzipan almond pastries; and Pici, a typical pasta from the area. In the afternoon you will have a picturesque drive through Southern Tuscany to reach Montalcino. This town is world famous as the birthplace of one of the finest wines of Italy, the Brunello. You will start your tour of Montalcino at one of the many fabulous but lesser-visited wineries here; Fanti, Croce di Mezzo, Casato Prime Donne and Casanova dei Neri are among the wineries favored by our expert guide. You will have a guided tour of the wine cellars followed by wine tasting of Brunello di Montalcino and other fine wine. Your custom private tour of Montalcino will continue to the town center, where you will visit the 14th century fortress, the cathedral and the old Etruscan hilltop streets dominating the valley for miles around. You can pick up a few bottles of fabulous red on your stroll through Montalcino before the trip back to Florence.